Binotto telescopic cylinders are supplied with a full range of quality components specially designed and selected to maximize the performance of the complete hydraulic kit and suit to any type of tipper application. 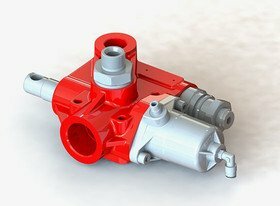 Valves (including pneumatic, electric and mechanical tipping valves, but also other different valves for different purposes) are very important for the hydraulic system. 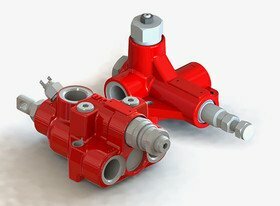 From decades of experience in manufacturing tipping systems for thousands of customers worldwide, intensive development and design work, continuous testing under the most rigorous conditions, the Binotto wide selection of hydraulic valves for tippers ensure the possibility to install suitable components for any type of tipper application. 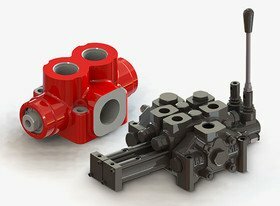 Binotto provides high quality valves for many different purposes, such as: safety valves, end-of-stroke valves, diverter valves and other special valves for tipper trucks. Our extensive offer also includes custom made solutions, so in case you cannot find what you are looking for in our standard range, do not hesitate to contact out sales team.